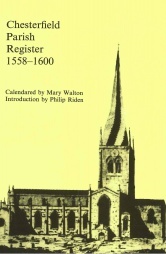 These two volumes together provide a complete transcript of the first volume of the register of baptisms, marriage and burials from the church of St Mary and All Saints, Chesterfield, whose parish included a number of adjoining townships as well as the borough itself. 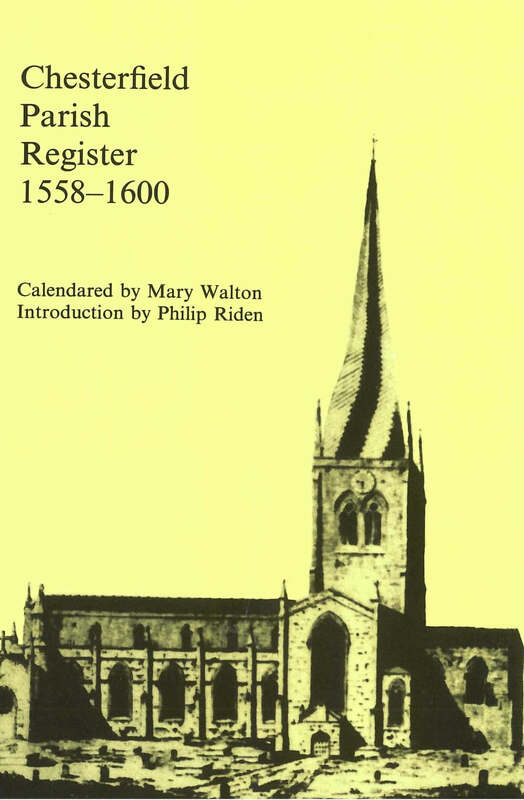 This is an important register for the parish church of the second largest town in the county and contains a good deal of ancillary information as well as a well kept record of vital events. The earlier volume includes the period in 1586�7 when Chesterfield suffered a major outbreak of plague (during which the register appears to have been fully maintained), and a second, smaller outbreak is recorded in 1604, near the start of the second volume. Each volume contains a general index and the second includes a marriage index for the entire period between 1558 and 1635. A card index of all events in the register is available for consultation in Chesterfield Local Studies Library.